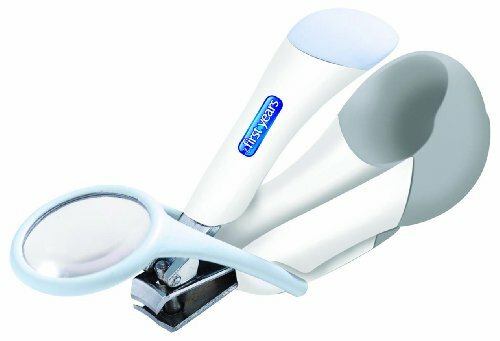 Deluxe nail clipper with fold away 4x magnifier to increase confidence and reduce eyestrain while trimming baby’s tiny nails. Features precision, stainless steel blades and an ergonomic sure grip shape. Sized and scaled for tiny nails. Officially licensed product of the American Red Cross.